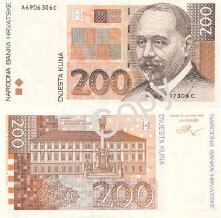 The national currency in Croatia is the KUNA, (1 kuna = 100 lipa). There are approximately 8-8.5 kuna to one pound, or about 7 kuna to one euro. Euros are accepted for larger payments such as security deposits or airport transfers. However, in shops, cafes and restaurants etc it’s generally only kunas which are accepted. It’s easy (and generally better value) to convert currency locally and there are Bureaux de Changes at airports and in all the main towns. There are also ATM machines in towns and cities and major credit cards are generally accepted. Tipping in restaurants is not obligatory, but if you’ve had a decent meal it’s standard to leave a tip of around 10 percent, particularly if the service was good.